In the aftermath of the fire at Notre-Dame, one of the great symbols of France, the luxury industry  another symbol of the country, thanks to names such as Dior, Louis Vuitton and Saint Laurent  has pledged hundreds of millions of euros to the cathedrals restoration. On Monday, as Notre-Dame burned and flames lit the sky, the Pinault family  owners of Kering, the second-largest luxury group in France  was the first to publicly offer a significant contribution, pledging to donate �100 million to the rebuilding effort. said Fran�ois-Henri Pinault, chairman of Art�mis, the family holding company that controls Kering. he added. Today, my father and I have committed to donate �100 million from the Art�mis fund to take part in the effort needed to fully rebuild Notre-Dame de Paris. Shortly afterward, the Arnault family and LVMH Mo�t Hennessy Louis Vuitton, led by Bernard Arnault, the richest man in France, announced that they would give �200 million. LVMH is the largest luxury group in the world. Its fashion holdings include Celine, Dior, Givenchy and Louis Vuitton. The group also owns drinks brands including Mo�t & Chandon, Dom P�rignon and Veuve Clicquot, as well as the landmark Parisian stores Le Bon March� and La Samaritaine. The group reported revenue of �46.8 billion in 2018. Mr. Arnault was an early supporter of Emanuel Macrons presidential bid, and Brigitte Macron, the French first lady, wears Louis Vuitton for most of her high-profile public events. Mr. Arnault also masterminded the Fondation Louis Vuitton, the contemporary art museum in the Bois de Boulogne designed by Frank Gehry that has helped reshape the landscape of Paris and that will ultimately become a gift to the city. 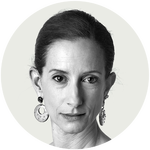 For its part, Kering owns luxury brands such as Balenciaga, Boucheron and Yves Saint Laurent. The Pinault family  also among the richest in France  owns the wine estate Ch�teau Latour. The groups 2018 revenues were �13.67 billion. Fran�ois Pinault, the patriarch of the family that controls Kering, is building a contemporary art museum in the former Bourse de Commerce in the center of Paris that will be designed by the architect Tadao Ando. she wrote. I love you Paris. In recent years, the luxury industry across Europe has become actively involved in restoring historic monuments. The Italian leather goods group Tods is underwriting the restoration of the Colosseum in Rome for �25 million. Fendi, which is owned by LVMH, paid �2 million toward the restoration of the Trevi Fountain in the Italian capital (the company held a fashion show there when it was completed). Bulgari, a jewelry brand also under the LVMH umbrella, spent �1.5 million on the Spanish Steps in the city. And Salvatore Ferragamo, an Italian luxury goods company, has supported the Uffizi Gallery in Florence. The motives are both altruistic  supplying funds that local governments do not have in the interests of saving a joint inheritance  and self-interested  the companies clearly understand that the more closely they associate with masterpieces of history, the more they bask in their glow. In addition, when it comes to Notre-Dame, donors will benefit from a hefty tax write-off. Individuals in France can get a 66 percent discount on charitable gifts, while companies can deduct 60 percent of their corporate sponsorship expenses  which would most likely include assistance to the cathedral  from their corporation tax, though the amount is capped at 0.5 percent of turnover. Indeed, just after the announcement from LVMH, Patrick Pouyann�, the chief executive of the French energy company Total, said on Twitter that his firm would contribute an additional �100 million to the cause, and LOr�al and the Bettencourt-Schueller Foundation, which is backed by the family that founded the cosmetics giant, pledged a total of �200 million. Offers of aid in the reconstruction effort also came from the bank Soci�t� G�n�rale (�10 million) and Cr�dit Agricole (�5 million, via their foundation) and the advertising firm JCDecaux (�20 million), while the tire maker Michelin also promised a large sum and the construction giant Vinci offered to provide workers and architects. Tim Cook, the chief executive of Apple, said on Twitter they wold also donate to the cause, though the company has not yet specified how much. Other donors include Sanofi, Axa, and Capgemini. Their legacy will now be part of Notre-Dames future. Published on Wed, 17 Apr 2019 13:16:28 GMT, © All rights reserved by the publisher.